2017 Gala Auction & Dinner a Success! Parents, friends and supporters of Canyon Heights Academy raised over $200,000 at the annual Gala Auction & Dinner. Over 200 guests gathered March 25 at the beautiful Sharon Heights Country Club for a wonderful evening in support of the school. several of the teachers were some of the most sought-after items, and many teachers generously offered two of their item. Other items to win included a rare bottle of wine, park-hopper tickets to Disneyland, classic sports memorabilia from Wilt Chamberlain, Muhammad Ali and Steve Young, and a unique Escape Room party. Professional auctioneer Gary Scott Thomas, morning DJ for KRTY radio, had almost every guest participating in a game called “Heads or Tails.” Guests purchased beads for a chance to win a prize titled “Getaway to Monterey,” including a stay at the beautifully but classic Monterey Plaza Hotel, dinner at the renowned Sardine Factory and a family pack of tickets to Monterey Bay Aquarium and the Borromeo de Carmelo Mission. 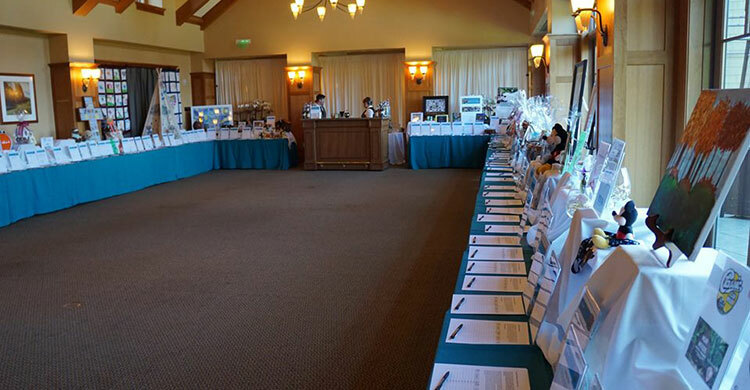 The Live Auction items included several gourmet dinners, weekend packages for both San Diego and Laguna Beach, a “Guys Day Out” of golf, 49er football and dinner, and two cases of exceptional wine. Perennial favorites like Head of School for the Day, parking spaces and front-row seats to school events received competitive bidding. Dr. Margaret Richardson presented the Charles and Linda Corbalis Founder’s Award to Ken and Ginny Hurley and Bernie and Anne-Marie Vogel for their significant contributions to Canyon Heights Academy. Their contributions of time, talent and treasure helped create the solid foundation that continues to support Canyon Heights Academy now and in the future. The award was presented to mark as the graduation of their youngest children from the school. Canyon Heights Academy founder Mr. Charles Corbalis was the “Last Man Standing,” making a gift from the Charles and Linda Corbalis Foundation. The foundation name will be placed on the perpetual plaque in the school office. Canyon Heights Academy is profoundly grateful to the generous families of our school, demonstrating their support of our mission of forming tomorrow’s leaders.